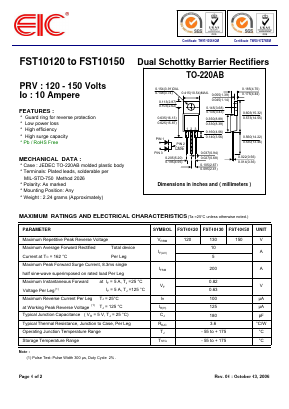 MBRD1020CT 10A DUAL SCHOTTKY BARRIER RECTIFIERS View Frontier Electronics. MBRD620CT 6A DUAL SCHOTTKY BARRIER RECTIFIERS View Frontier Electronics. MBR20100CT Dual High-Voltage Schottky Barrier Rectifiers View Silicon Standard Corp.
MBR3035CT Dual Schottky Barrier Rectifiers View Silicon Standard Corp.